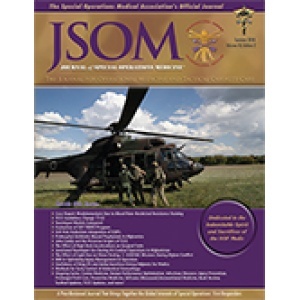 The success of Tactical Combat Casualty Care (TCCC) in reducing potentially preventable combat deaths may rely on both specific interventions (such as tourniquets) and the systematized application of immediate care. Essential elements of a combat care system include clear specification of immediate care priorities, standardized methodology, and inclusion and training of all nonmedical personnel in early response. Although TCCC is fairly recent, the construct is similar to that first suggested during the mid-nineteenth century by John Turner Caddy (1822-1902), a British Royal Navy staff surgeon. Although naval warfare engagements at the time were relatively infrequent, casualties could be numerous and severe and often overwhelmed the small medical staff on board. Caddy recognized that nonmedical personnel properly trained in the fundamentals of combat injury management would result in lives saved and greatly improved morale. The novelty was in his attempt to make procedures simple enough to be performed by nonmedical personnel under stress. However, Caddy's guidelines were completely overlooked for nearly two centuries. The principles of best practice for managing combat trauma injuries learned in previous wars have often been lost between conflicts. 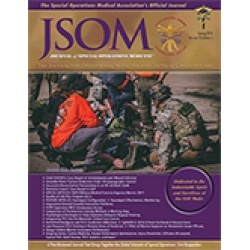 Understanding the historical roots of combat first responder care may enable us to better understand and overcome barriers to recognition and retention of essential knowledge.